Yesterday I received a postcard from one of my favorite people-- fellow food pal natalie. I miss that girl so much. I swear I gain 5 pounds each time after hanging out with her. I'm not complaining or anything, I do leave with a very satisfied stomach. We share a love of salami paninis, 7 layer dip, travel, and of course, the hills. Tonight I share with you my attempt at imitating her magnificent 7 layer dip. 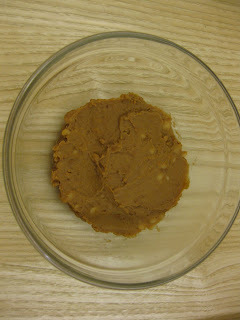 Canned refried beans cooked for a few minutes. 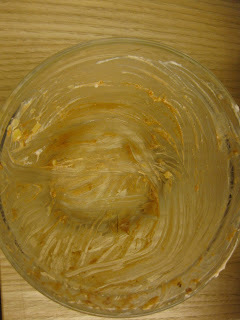 Multigrain tostitos are good, but always crack when dipping... I miss the tortilla chips at Florida Bakery in Taipei. Gone in 15 minutes after 3 of us dug in. YAY!! Dude, loved your shout out! So happy my postcard made it. And 7-layer dip....NICE! I made some the other day, but it didn't taste as good cause you weren't here to dig in with me. Remember how we had it for breakfast that day....yeah that was awesome. MISS YOU SO FREAKING MUCH! Love ya!